NZX-listed Augusta Funds Management have acquired an industrial asset at 741 Nudgee Road, Northgate in a deal worth $28.25 million. Constructed in two stages between 2005 and 2007, the property comprises an industrial warehouse office, and state-of-the-art production facility. Augusta Capital chief operating officer Guy French-Wright said that the acquisition was part of a broader strategy. 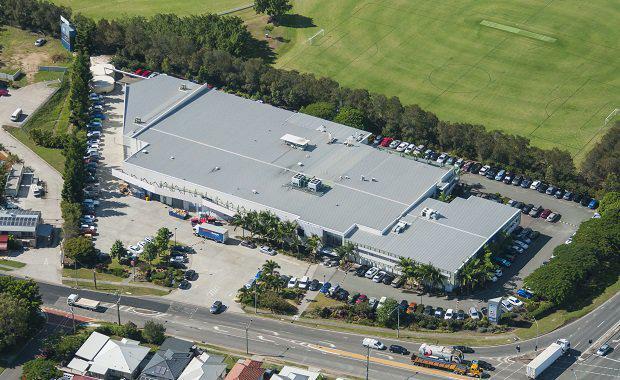 “The property was acquired to provide our investors with greater exposure to securely leased industrial real estate in a market which represents relative value when compared to Sydney and Melbourne," he said. “We are actively looking for both organic and platform related growth opportunities as we continue to grow our exposure to Australia. "The property is currently occupied by the Australian and New Zealand head office for Health World Limited. The deal brokered by Savills Callum Stenson and Kevin Carmody represented a 7.03% yield, with the site being secured by a lease that terminates at the end of 2028 with options to extend. Stenson said Augusta were quick to secure the deal of the 8,764 square metre site, after the initial purchaser pulled out. “Augusta immediately stepped into position to acquire the property, as a new long term lease was struck with the tenant," he said. Augusta Capital is one of the largest and most diversified property funds management companies in New Zealand – with asset management capabilities across New Zealand and Australia. Augusta owns and manages 114 properties across the office, retail and industrial sectors, with more than $1.7 billion of assets under management. Healthworld brands include Inner Health Plus, Ethical Nutrients, Endura and Metagencis.